As users are created and managed outside of MyEDiary when it is used with one of our integration partners, the only actions available in this area for Integrated schools are managing invitations and granting/revoking admin rights. Read more about integration here. All staff members who have not yet been sent an invitation email to MyEDiary can be found by clicking the 'Uninvited' tab. 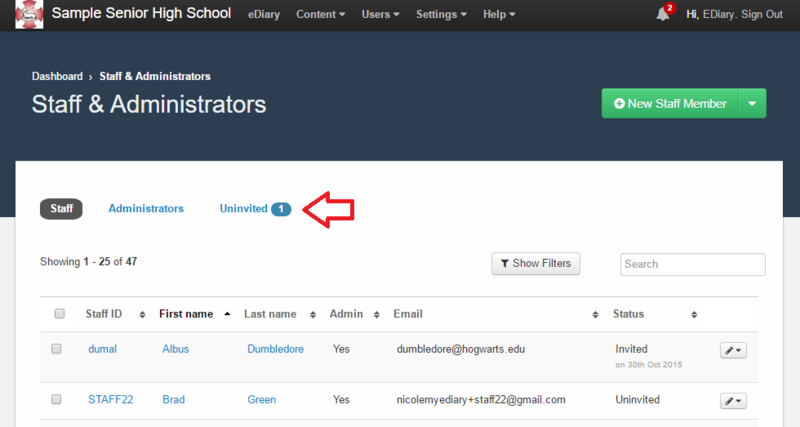 Or all uninvited staff members can be invited by clicking the 'Quick-invite all Uninvited Staff Members' button. 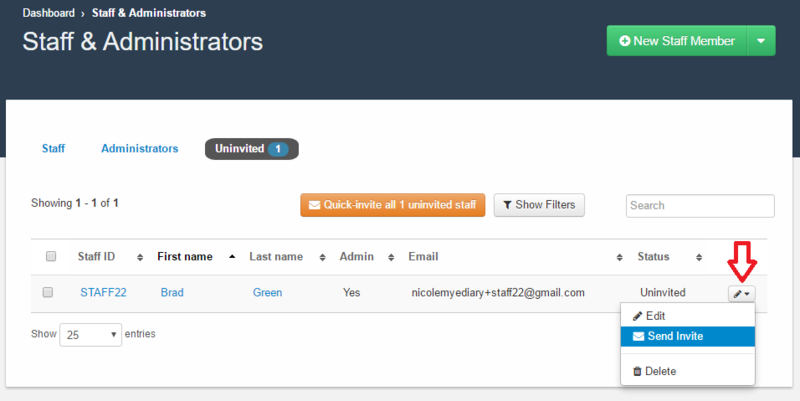 To edit or delete an existing staff member, click the option menu beside the staff member then click the relevant option. 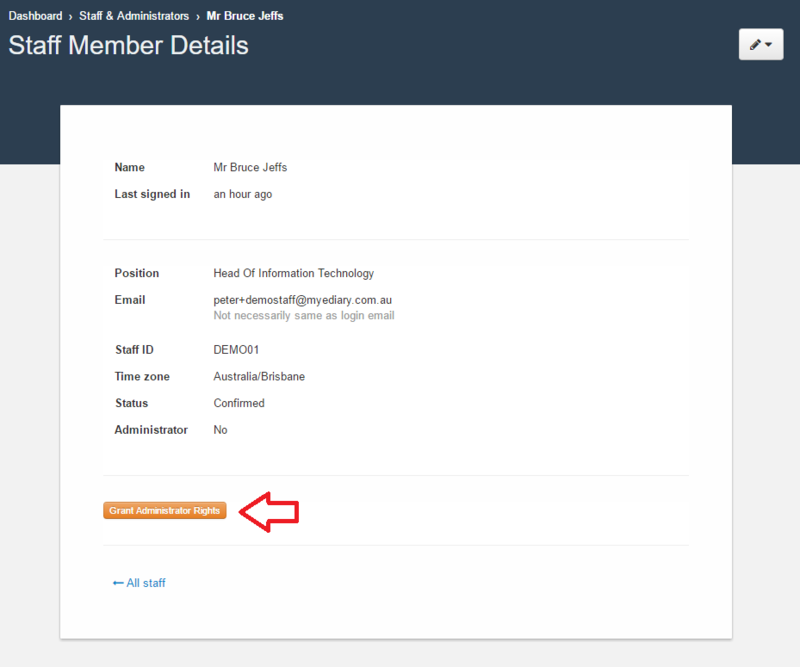 To grant Administrator rights to a staff member, click on the name of the staff member then click the Grant Administrator Rights button. The same process can be followed to revoke the admin rights (the button changes to Revoke Administrator Rights). 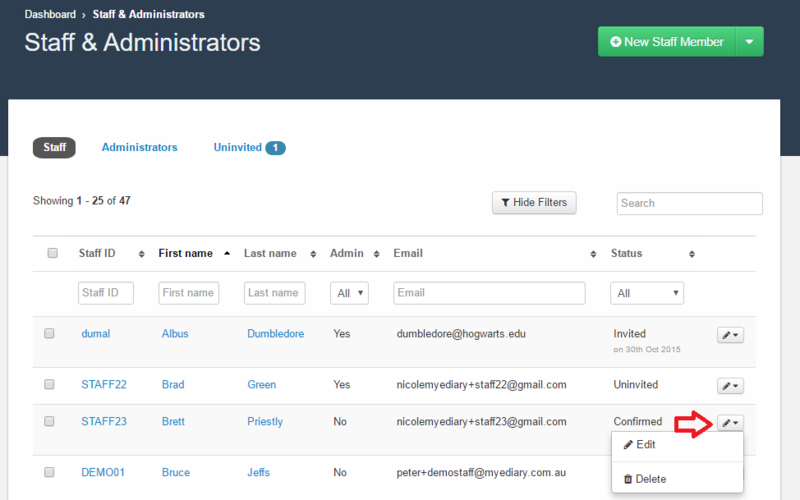 To view a list of the staff members that have Administrator rights, click the 'Administrators' tab.